I was on a panel at the High Times Business Conference in Los Angeles last month, it was the diversity panel that appears at each cannabis conference, in many ways it is a great add and in other's it is the standard "got to have one of these" go to panel ideas. After the panel I met Kevin Ngo, automatically it was "OH HEY ANOTHER ASIAN!" fist bumps and "wow, so glad you are here" pats on the back. Kevin is a shining star, his enthusiasm and bushy tailed bright eyed personality won me over in 2 seconds. His partner Edward Chien I met later at another event and again the fist bumps and back slaps was going around our small Asian circle. 626NightMarket is a food festival based on traditional Asian night food markets, with over 150 vendors specializing in every Asian cuisines and add music, liquor, art, films, games to create an evening that is unparalleled in foodie events. The festival debuted 7 years ago and has built a loyal following that has over 800K attendees to four dates at the Santa Anita race track and three in Orange County. With the success of 626NightMarket, Edward and Kevin are planning the next venture, The Munchies Cannabis Food Festival, and the name succinctly spells out to the point exactly what is going to be offered. California will be entering adult use 2018, and with that there will be no need for a medical card for 21 and over adults to access cannabis and cannabis products. 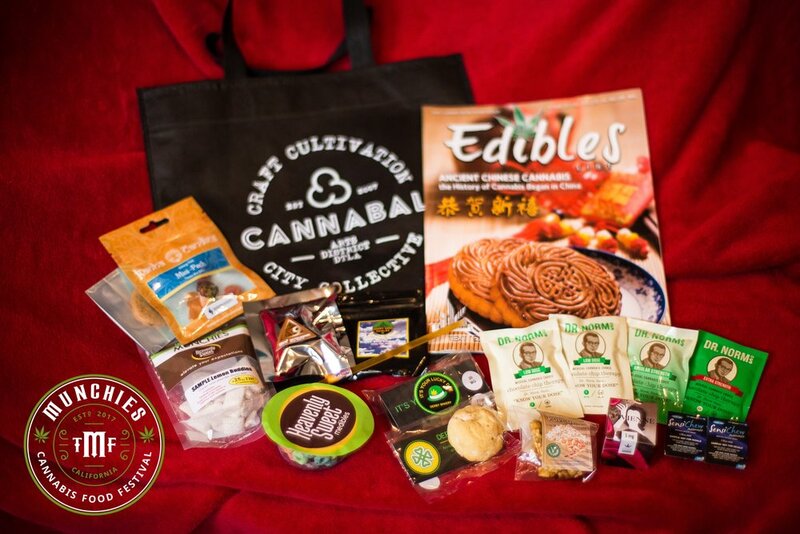 The change in law will allow The Munchies to welcome new consumers to experience the best of California has to offer. After years of event production with the 626 Night Market and the legalization of cannabis in California. I decided it was time to start The Munchies Festival. Bringing people together has always been part of my nature and cannabis my passion. Why not put them together with delicious food? You mean how badly was I “beaten out” of the closet? LOL. I love my parents and I understand we come from very different times and culture. Today I try my best and be very patient with my parents when it comes to cannabis education. It does not come easy but I truly believe one day I will be able to have a sesh with my parents and get a good laugh out of all this. One of the main reasons why I decided to go into this market was throughout my schooling this was the one and only industry that supported me financially for several years. Although the market is consistently changing it has created a strong sense of appreciation to cannabis has to offer. This drug has got me through tough time and has help one of my best friends fight through cancer. This is still a grey area between us. They know about it but we don't talk much about it. THANK YOU EDWARD AND KEVIN!